Having successfully adapted to the challenges of our business environment for over 50 years, we pride ourselves on a stress-free service to our customers, which is a result of well-developed interlocking capabilities; our hands-on approach and director involvement at every level of project delivery. This is why we are one of the fastest growing, motivated and youthful companies recognised for our experience and innovative solutions to project challenges. Our customers include many of the most renowned multinational corporations, who place their trust in our ability to deliver the scope of their projects on time, within cost plan and to the highest industry EHS&Q standards. Through early project engagement, engineering, adaptability, expertise through relevant experience and operational efficiency, we collaborate with the overall project team to guarantee successful project delivery and subsequent repeat business. 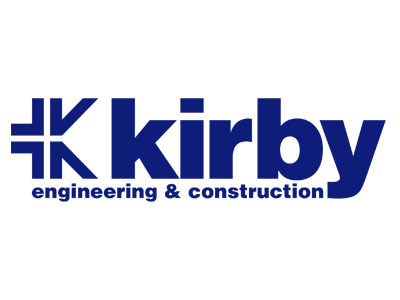 Established in 1964, Kirby is a privately owned company employing over 600 construction professionals with revenues of €150m. We operate in Ireland, the UK, Continental European and Nordic markets. Innovation and Engagement drive our approach to business with a consistent focus on ‘Lean’ project delivery reinforced by Q-EHS excellence in everything we do.